You are currently browsing the The Pet Product Guru blog archives for April, 2018. Cats don’t like change. Moving a cat dish or removing something like their favorite bed can stress them out. Cats are very routine creatures. They are used to doing the same things everyday. My cat Millie is used to drinking from her water fountain. When I remove it to change the water, she begins to meow. Yesterday, I removed the bed spread to wash the sheets. Her blanket is on the bed spread so I put it on the floor while the sheets were in the washer. She stood by her blanket and was clearly upset that it wasn’t where it was supposed to be. Cats don’t like to vary their routine. They prefer the status quo . 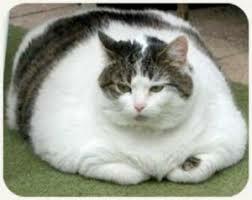 Changes to their routine such as moving to a new place, welcoming holiday visitors, or adopting a new pet could really get your cat bend out of shape and leave her feeling stressed and anxious. Boredom could also cause anxiety. Signs of stress include not using the litter box properly, non stop grooming, hiding under the bed for hours on end or becoming aggressive. 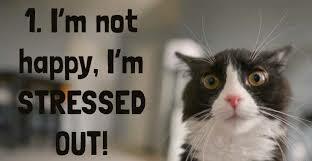 To limit the stress to your cat, make any changes as gradual as possible. Give her as much time as possible to adjust to new situations. If your cat shows ongoing signs of stress, consult your veterinarian. Remember, your pets count! Music is the soundtrack to your life. Turn on your oldies today with Edgewater Gold Radio. Download the free Edgewater Gold Radio app or listen from our website: edgewatergoldradio.com. Cats are not given enough credit. They can be a great comfort to many people in all kinds of situations. 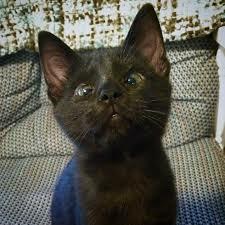 Here’s a heartwarming stories about how a little kitten brought great comfort to a disable vet. The article was published by Guideposts. Here, boy!” I called out again. I walked down the cement steps behind the Army barracks and listened, hoping to hear an answering meow or to see a flash of black and white streaking toward me. But there was still no sign of the cat. Now I was starting to panic. While I had yet to name him, I had been feeding him for months. Seeing him had become the highlight of my day. “Thank you for providing the booklet, Strength for Helping Hearts. I gave this to a friend, Lisa, who is in a difficult situation caring for her aging parents and dealing with some resistance from her siblings. God bless your ministry!” -Mary Jane F.
I made sure to get regular exercise and eat healthy. I even quit smoking. I went back to school to get my master’s degree in clinical rehabilitation and mental health counseling. I wanted to work with fellow veterans. My greatest hope was to be for someone else what Scout was for me. Radio stations that broadcast on the internet provide you much more variety! Edgewater Gold Radio is a very unique oldies station that plays oldies from the 50s through the 80’s plus also features pop vocals and standards! You can download the free Edgewater Gold Radio app, listen on Tunein and many other apps. Tell Alexa to “play Edgewater Gold Radio.” Listen from out website: edgewatergoldradio.com! Osteoarthritis is a common, degenerative disease found in the joints of older dogs. This causes chronic pain and effects the hip, knee, spine and other joints. A dog that has arthritis will be reluctant to take long walks. and will have difficulty climbing stairs. He may not even be able to jump on a couch or bed. He may lick the affected joint and it may be sore to the touch. Treatment includes nutritional supplements such as glucosamine and chondroitin sulfates. This protects the cartilage covering the joints. These treatments work over time. For immediate relief, your veterinarian may recommend using a non steroidal anti-inflammatory drug. These drugs work quickly. If your pet’s arthritis pain still is not controlled by these medications, your vet may recommend analgesic pain medication. 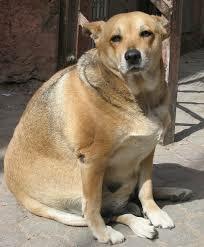 One of the keys in preventing this disease is to make sure that your dog is not overweight. Never issue any pet medication yourself. Always let your vet do his job and prescribe the medication. Take a walk with your dog and have oldies playing in your earbuds. Edgewater Gold Radio plays the largest variety of oldies and great pop standards! Download the free Edgewater Gold Radio app, find us on Tunein, Live 365 and Radio Garden. You can also tune in from our website, edgewatergoldradio.com. I mentioned before that we’ve been feeding several feral cats who come around everyday for their meal on our porch. The problem with feeding feral cats is that you also attract other outdoor creatures that you don’t necessarily want feasting on leftover food. Last night, my partner saw that there was no longer any food left in the bowl and he put some more out. About 11:15pm last night, I heard a racket on my porch. I looked out and there were two huge Racoons fighting over the food that was left out. 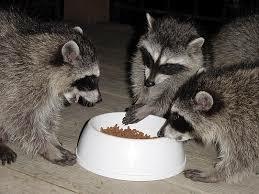 Racoons tend to move and toss things around so that explained the noises on the porch. If you feed outdoor cats and don’t want nocturnal creatures paying you a visit in the night, make sure that any left over food is emptied each day! When you get to work today, turn on your favorite music! Oldies from the 50s through the 80s plus great standards. EDGEWATER GOLD RADIO is America’s most unique oldies station. Check us out and see what I mean! Edgewater Gold Radio, download the free app and listen from our website: edgewatergoldradio.com. Oldies like you remember them. The variety you love! Edgewater Gold Radio! Catch Gary Allen today at 2:00pm est and keep the oldies playing all day on Edgewater Gold Radio! Listen from our website: Edgewatergoldradio.com. Parrots are extremely intelligent animals. They require lots of attention and can easily imitate words and sounds. Parrots also demand lots of attention. If they don’t get the attention they require, they rebel by developing bad habits and will even pluck out their feathers. Another fact about parrots is that they can live very long. 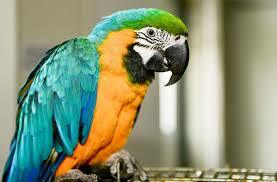 The lifespan of a parrot varies from one species to the next. Small parrots usually live 15-20 years, medium-sized parrots 25-30 years and large parrots 60-100 years. Macaws are especially long-lived and one blue-and-yellow macaw named Charlie is believed to be more than 100 years old. Another macaw named Poncho, who has starred in several Hollywood movies, is claimed to be 89 years old. So keep this in mind when deciding to adopt a parrot as a pet. Include the care of your parrot when making your will. Thanks to Ipfactly for providing some of this information. Spend your weekend with the best variety of oldies—Edgewater Gold Radio! A unique oldies format with oldies from the 50s through the 80’s plus great pop standards! Download the free Edgewater Gold Radio app or listen from our website: edgewatergoldradio.com. It always happens from time to time. You’re walking or in your cat and out runs a stray dog. Your instinct is to try to grab the dog and get it back to its rightful owner. Being that you don’t know anything about the dog, you must proceed with caution. 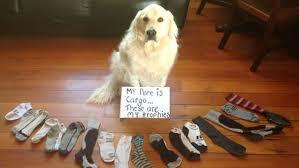 Gauge the dog’s demeanor. Is it aggressive or afraid? Signs of aggression include: baring teeth, lifted tail, raised ears and hackles (the fur behind the neck, in many large breeds the hackles are very easy to see when they are lifted). 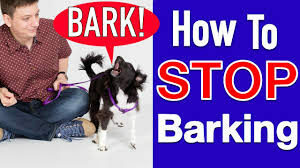 Signs of fear include tucking the tail, laid back ears and also snarling or barking. Barking is a sure sign that the dog doesn’t want you any closer than you already are. Do not be mislead by breed stereotypes. Look for body language to understand what the dog is trying to convey. A dog’s behavior is determined more by its training (or lack thereof) than its genetics. Most dogs, big and small, are not aggressive and are likely to be afraid of you. The most common situation is that a dog is lost, scared, and doesn’t trust you. Even if they look frightening, their first instinct will be to repel you and get away. For scared dogs, back away slowly until the dog is at ease. Do not try to command them. Note your location and, if the dog is unknown to you, call animal control immediately. If you know who the dog belongs to, of course, call them first! For an aggressive dog, the first priority should be to protect yourself. Do not run, as the dog will catch you and will be encouraged to bite. Many dogs instinctively know how to “take down” a runner, and the last place you want to be is on the ground. Search for something to climb onto and call for help. 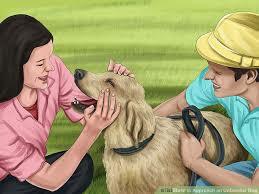 If there is nothing that can safely remove you from an aggressive dog, you should use your arm to deflect or absorb any bites. 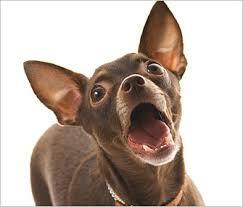 Do not aggravate an aggressive dog by shouting at it or staring into its eyes. Eye contact is aggressive and will likely spur an attack. Very few dogs will actually bite a human being, if unprovoked. Stay calm and try to keep your stance tall and confident. Walk away, if you aren’t being chased, and call animal control at the first opportunity. Dogs are pack animals. When they are alone, they are not usually looking for confrontation. When you get to work today, make sure you keep the great oldies playing all the time! Edgewater Gold Radio plays all oldies from the 50s 60s 70s 80s and great standards! Listen from our website: edgewatergoldradio.com. You can also download the free Edgewater Gold Radio app. When you get to work today, turn on the oldies! Edgewater Gold Radio, plays the largest variety of oldies from the 50s through the 80 plus great pop standards! Make Edgewater Gold Radio a part of your day. Listen from our website: Edgewater Gold Radio.com!